Brooklyn Bridge Garden Bar is an outdoor cafe & bar in Brooklyn Bridge Park. 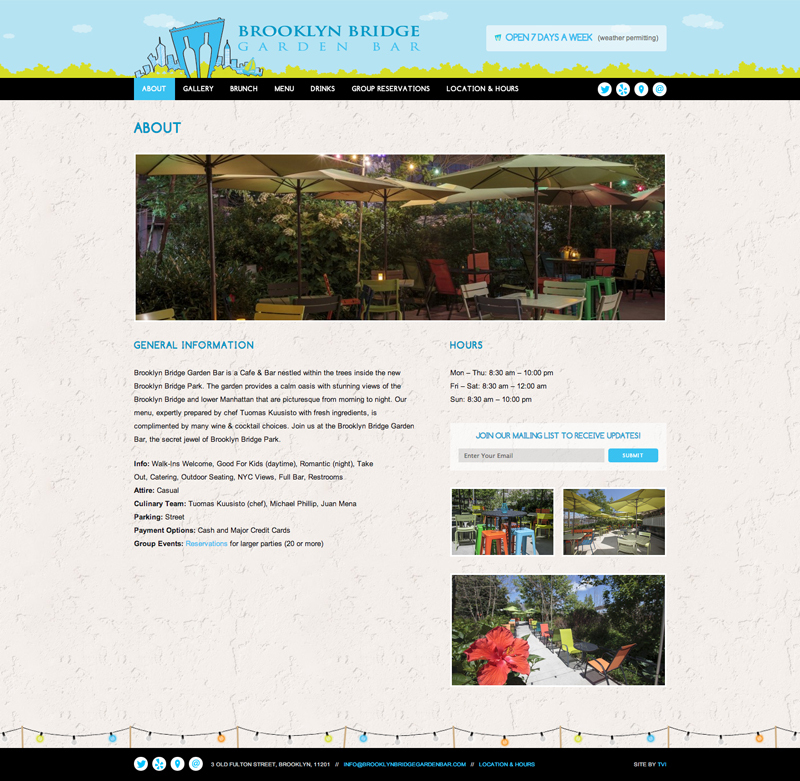 Brooklyn Bridge Garden Bar came to TVI for a new website to better showcase their unique space. They also needed a better way to let customers check their menus, know when they were open (depending on the weather), and be able to quickly and easily update the website themselves. Going off of their fun, cartoony logo we kept the header in the same style by including the sky, clouds, and extending the trees from the logo along the full width of the website. At night the cafe area is lit with strings of colored lights giving it a romantic and warm atmosphere. We included a small string of lights going across the bottom of each page as a fun little design element. The full content management system not only allows Brooklyn Bridge Garden Bar to keep their customers informed about whether the cafe & bar is open, they can keep all menus and information up to date very easily as well. 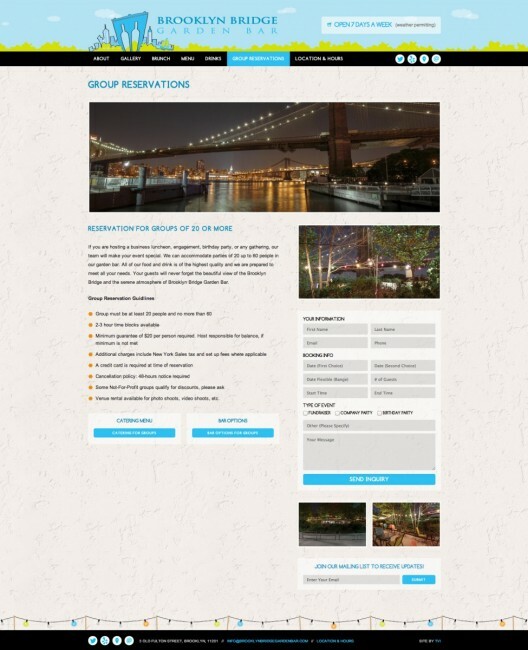 It was also important to make it simple for customers to book a group reservation. The reservation form, guidelines, and menu options are all displayed on the Group Reservation page which makes it easy for the customer and Brooklyn Bridge Garden Bar to get the information they need.